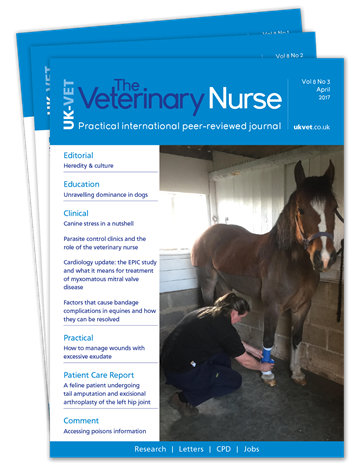 The Veterinary Nurse is the practical, international peer-reviewed journal for veterinary nurses. 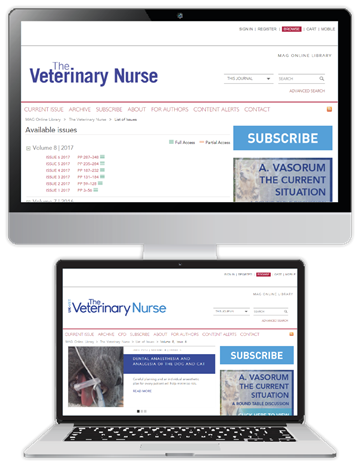 Every issue contains evidence-based clinical reviews, research summaries, case reports and professional articles, alongside an online CPD programme*, to support the practising nurse's every professional need. Save 15% when you subscribe today. 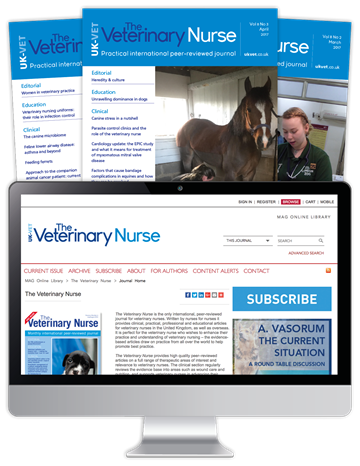 Select your subscription option below, and enter code UKV18A to claim your discount. *Online CPD only available through an Online or Print + Online subscription.